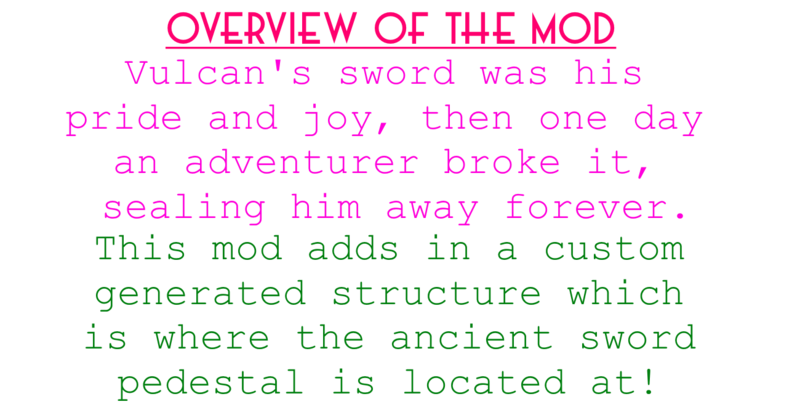 Soo....what are you adding to this mod next?New mobs to fight?Vulcan himself?Anything like that? 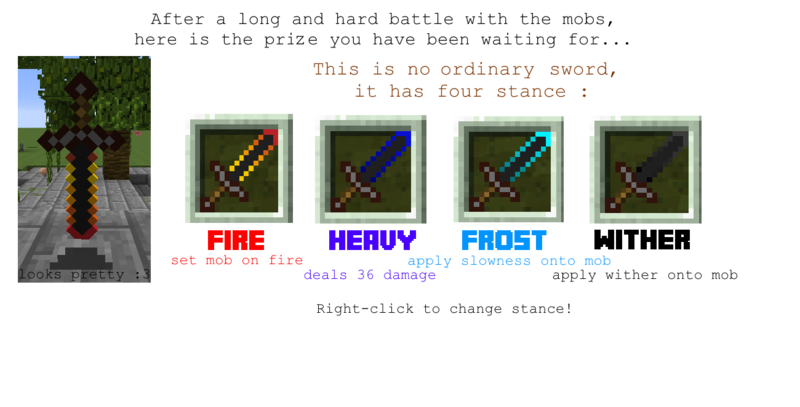 New mobs, more weapons and maybe you guys can give me more amazing ideas! How about assassins sent by Vulcan(or his spirit) that attacks you when you are already wielding this sword?And maybe Vulcan himself(or his spirit)will attack you after you kill enough of his assassins. 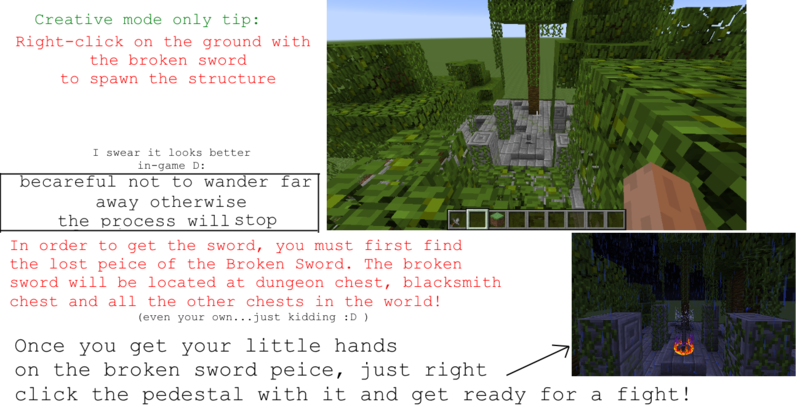 Grass:Summons in thorn tentacles around you when you right click and they will protect you until you let go of the button. Weightless:Doubles or triples your speed at the cost of 2 damage from the sword. Is compatible with 1.7.2 ? CAN YOU CHANGE THE TEXTURE INTO A BETTER ONE? IF YOU CAN MAKE A BETTER TEXTURE THEN YES! Edit: How about a flight mode? How about a totoally new weapon?